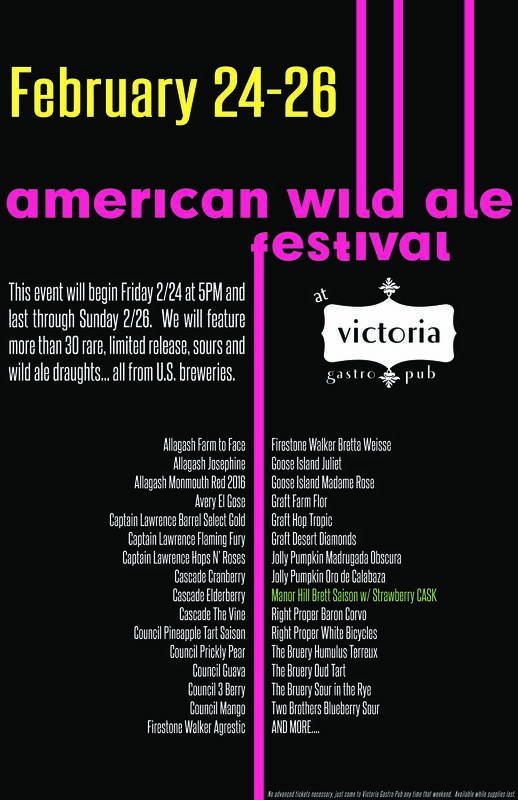 We will feature more than 30 rare, limited release sours and wild ale draughts from U.S. breweries. No tickets necessary, just come to Victoria Gastro Pub any time that weekend. Available while supplies last.